Concepts and practices in the field of international development have changed dramatically over the past few decades. This studio course is designed to prepare students with the most current approaches to the practice of international development as implemented by leading actors today. Students will learn the traditional project planning tools used by multilateral and financial institutions as well as alternative approaches/tools. They will be equipped with a variety of skills necessary for working on development projects in the real world. undertake a financial analysis of a proposed development project. This fall, I will be offering a new course on Advanced Urban Infrastructure Planning (UAP 5854G) with Yehyun (Hannah) An. The course description is provided below. The course can be counted as an elective for the Graduate Certificate in Global Planning and International Development Studies. Description: Urban infrastructure systems play a critical role in facilitating economic development and raising quality of life. However, the resource, energy, and capital-intensive characteristics of infrastructure can result in negative environmental and social impacts. Over the past two decades, the concept of sustainability and how it can be incorporated in the planning, design, and development of new infrastructure has gained significant attention. Sustainability principles have also been applied to the management of existing infrastructure. This course will explore the emerging concepts, principles, and methodologies used to advance sustainable urban infrastructure planning. In particular, it will study national and international cases of infrastructure development, with an emphasis on projects in the US and India. In May 2013, Yakhya (Aicha) Diagne successfully defended her thesis entitled “Planning for Sustainable Development in Senegal.” Aicha’s research focused on understanding the complex institutional, legal, and political aspects of sustainable development planning in Senegal and identified options to advance the national planning framework to promote more sustainable forms of development. 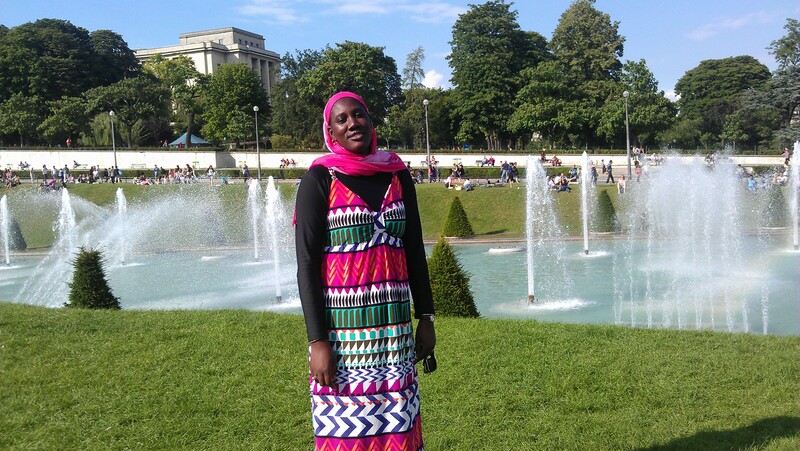 Aicha received a 2012 ThinkSwiss research scholarship that enabled her to undertake part of her research at the UN in Geneva, Switzerland. Prior to coming to Virginia Tech, Aicha led the Office of Legal Affairs, Communication, Monitoring, and Evaluation in the Senegalese Department of Environment and Classified Establishments. She also managed the Technical Permanent Secretary of the Senegalese National Commission of Sustainable Development from 2008 to 2010. Aicha is currently undertaking an internship at the West African Development Bank in Lome, Togo. After completing the internship, she will begin a position in the Ministry of Environment and Sustainable Development in Senegal. I served as the chair of Aicha thesis committee, along with committee members John Browder and John Randolph.